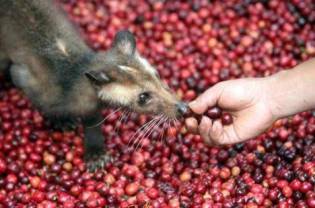 Lovers of the world's most expensive coffee, found half-digested in the dung of the wild civet, fear that its unique taste may be spoiled by planned farming of the animals. You have got to be kidding me...now the wild civet is going to be caged and mistreated so that people can drink a cup of coffee....cruel and unkind to say the least! Hell no are we going to spend money to enjoy this much acclaimed nice coffee.